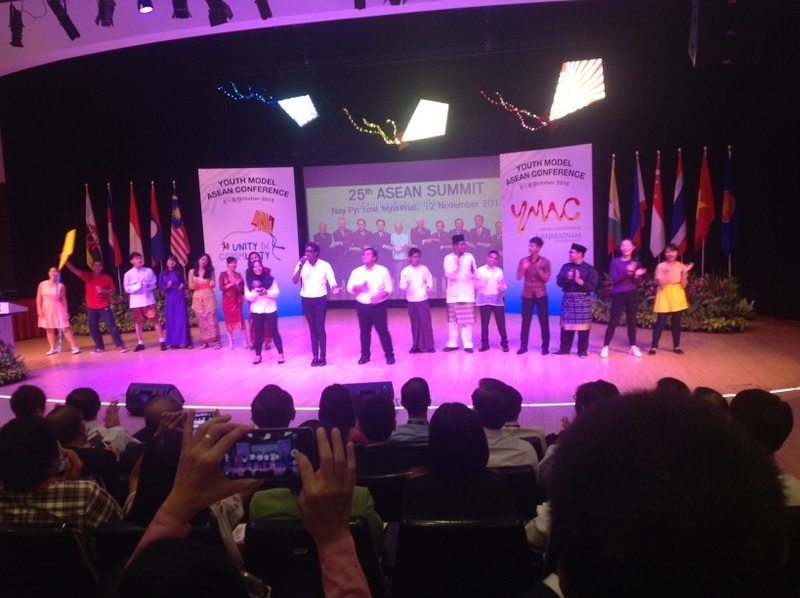 (Singapore, 5-8 October 2015) Youth Model ASEAN Conference (YMAC) is a simulation of an ASEAN Conference which brings together students from all ASEAN member states. My name is Galuh Octania P. and I was one of the participants with Security: Cyber Security as my committee in YMAC 2015 (there were six other committees). This YMAC 2015 was undoubtedly one of the most incredible memories in my university life. The acquisition of knowledge and interpersonal happiness obtained from this conference could hardly be acquired from books or lec tures. I am delighted and grateful to have such an excellent experience from this year’s YMAC that supported by S Rajaratnam Endowment, not only to learn, but also to explore and make new friends from all ASEAN countries. DAY 1:The journey began at 4 October 2015 where Nadya Rose and I arrived at Changi International Airport, Singapore. We were the representatives from Universitas Muhammadiyah Yogyakarta. We already met some of participants of YMAC in airport and then we headed to Holiday Inn Singapore Atrium Hotel where we stayed for five days. In the evening of the same day, all overseas participants gathered together and then we had a quick briefing and also played some of ice breaking and bonding games in order to be familiar and getting to know each other before the conference that would be held the day after. 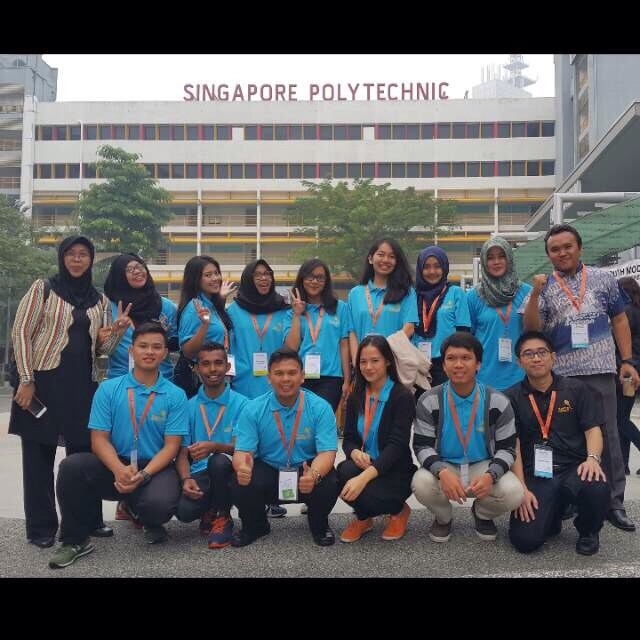 On the morning of 5th October 2015, all overseas participants went to Singapore Polytechnic where almost all the activities would be held there. The overseas delegates also finally met the local delegates from various universities or polytechnics in Singapore. There were total of 200 delegates and we were divided into our respective committees. 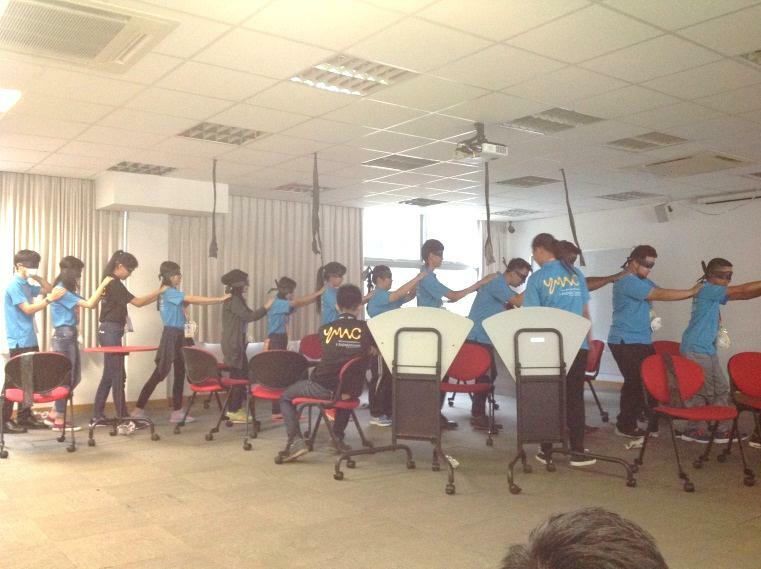 Before we started Committees in Session (CIS) 1 of ASEAN Conference, we played another YMAC bonding games. We were not only played some fun games but also played game that related with our committee, which mine was Cyber Security. In the afternoon, we started our Committees in Session 1, the chairs informed us about conference procedure and protocol and also the flow of debate. 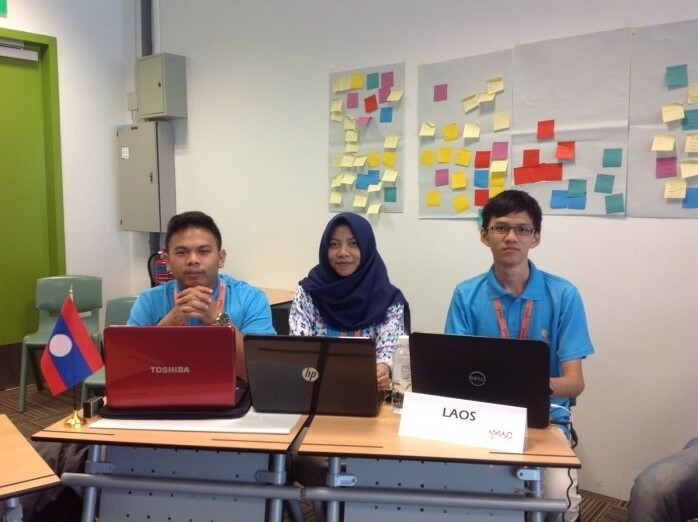 Each country consisted of three delegates, my teammates were Chong Xue Yao from Singapore and Firdaus Rahman from Indonesia. We were the delegates of Lao PDR. I was so happy to have them as my teammate because they were so kind, easygoing, smart and also easy to work with. Most of my times for the following days that time were spent with them so I really appreciated every second I spent with them. DAY 2:After the first CIS, all delegates then headed over to the Auditorium for YMAC 2015’s Opening Ceremony. Guests-of-Honor H.E. Bilahari Kausikan and Ms Moe Thuzar were present and took questions from us. Issues such as Rohingya, European Union and Timor Leste were brought up at the ceremony. After we had dinner, we went for second CIS where we learnt more about our respective topic and shared perspective with other countries. We also learnt to respect each other’s different views while maintaining a stand of our own. After a quite long and hard day, we headed back to the hotel for a well-deserved rest. We started our second day where we had had another early start that morning. At 8am, we were fetched to various places in Singapore to learn more about the country, for our committee which was Cyber security, we went to Infocomm Development Authority of Singapore (IDA). At IDA, we learnt about security technology, how hackers work and how people bypass the fingerprint security. Unfortunately, we were forbidden to take a picture inside IDA during the presentation. After that, we continued our learning journey around Singapore to various places such as Merlion Park, Cavenagh Bridge, and Marina Bay. After a tour round Singapore, we headed back to Singapore Polytechnic by MRT to finish our first draft declaration in Committee in Session 3 and 4. Until 10pm in the evening, we had deep discussion about how to enhance our cyber security in ASEAN. The second day was another tiring but fun day. 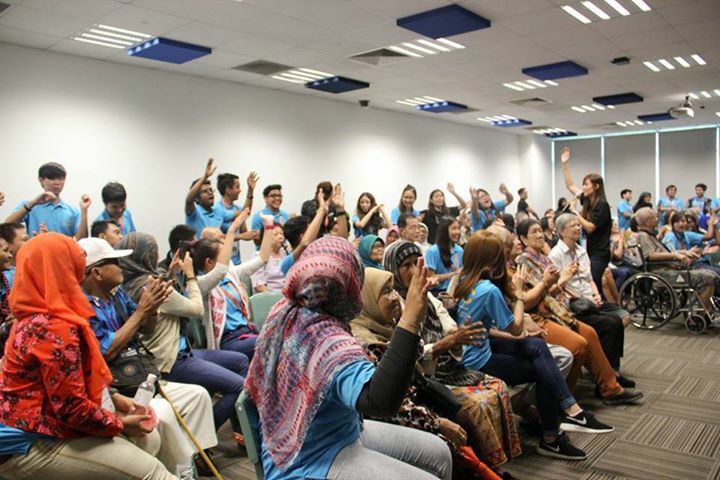 In the 3rd day of YMAC 2015, one of activities consisted of contributing to the elderly. The elderly arrived after lunch and were split into groups for different activities; kite making, childhood games and karaoke. First, we made a kite together with elderly people and I was so surprised because there was one of the elder who could speak English, Chinese, and also Malay at the same time. Unfortunately, the kites that we made could not be flown due to the haze. After kite making, we also had a karaoke segment. Old songs from the 70s such as Hey Jude, Top of the World, Que Sera Sera, and Zhang Sheng Xiang Qi Lai, were belted out by us and the elderly joined in. Some of my friends even took their spotlight by singing in front of everyone else. Honestly, I did not know almost of the songs because the languages were Chinese, however I had had a great time with the uncles and aunts that time. We also played the traditional game with the elderly, mine was played a game from Philippines. It was such a fun game and gave me memorable experience. 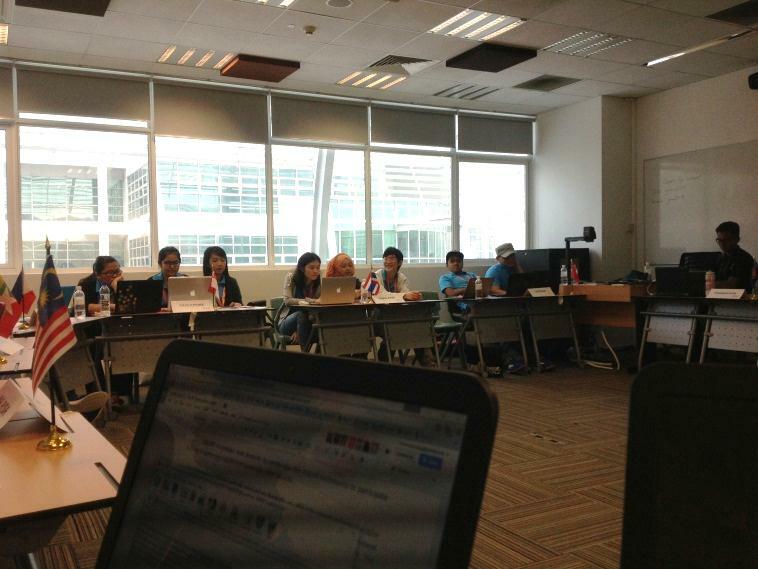 In the evening, we continued to our fourth CIS where we finally finish our ASEAN declaration on cyber security issue. To make the declaration more tangible as the real conference, each country also signed the declaration in front of the other delegates. I was so happy because I could experience such of things. 8th October was the last day of YMAC 2015. Early yesterday morning, we had already begun preparing for the gallery walk. It was part of the conference where the declaration that we finished would be presented to other committees, Guest-of-Honor and also the VVIP through the gallery walk. Each committee was given one booth. We all huddled together to brainstorm and design our respective booths. It was also an honor for me because I was offered to be one of the representatives of Committee of Cyber Security with my other three friends. After lunch, we also changed into our ethnic costumes and headed over to SPCC to set up our presentations. I was wearing traditional costume from South Borneo. 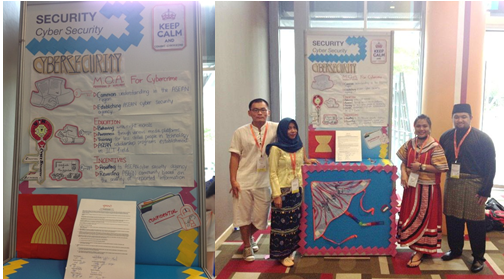 After some practices with others and finishing our booth, we finally presented our respective committee’s ideas and solutions to other committees and after that, we also presented our declaration to Mrs Josephine Teo, Senior Minister of State, through the gallery walk. The SPCC was really bright with colors because of the design of the booths and the different ethnic costumes of the delegates. At dinner, we still had so much fun. It was also great to be able to meet Mr. Dwi Kurnia Miftach as Minister Counselor of Embassy of Indonesia in Singapore. We talked about many things, particularly about Indonesia’s preparations on facing ASEAN Community 2015. After dinner, finally it was time to say goodbye to other delegates, there was a teary farewell moment as the delegates and organizing committee said goodbye one last time. I also said goodbye to my friends from Cyber Security Committee. It was really a sad moment because I really had a great time with them at YMAC 2015. It was only 4 days with them but the memories were already made and friendships were born. To Carlos, Xue Yao, Jane, Navy, Kak Daus, Kasy, Kim, Haizam, Sei Hui, Clarissa, Atikah, Syeriffah, Munesh, Stanley, Qusy, Nhat, Kzin, Elena, Yixiu, Victor, Hung, Willyn, Bouasavanh, Sim, Jie Xin, Yang Rui, and also our committee chairs Phyo and Sylvia, thank you very much, I have learnt a lot from each one of you and thank you to everyone who made it worthwhile. I will keep these memories forever and I am really glad because we still keep in touch with one another until now.In the afternoon, finally, it was time for the Closing Ceremony. The ceremony was also very insightful as we had the opportunity to present our questions to Mrs Josephine Teo. Mrs Teo responded to our questions and provided us with a deeper understanding on what ASEAN is about. Afterwards, Secretary-General of YMAC 2015, Laura Anne Lau gave a heartwarming speech before declaring YMAC to be closed. There were many performances. One was a unique performance which was a mix of a video together with shadow play. Following that, the YMAC song was played and some of the delegates sang onstage together with the performers one last time. In the end, on 9th October 2015, it was really our farewell to Singapore. Nadya Rose and I went back to Indonesia at 10am in the morning. It was really a fulfilling and fruitful YMAC 2015. The conference provided a real opportunity for very fruitful discussions and exchange of ideas after each delegates’ presented their view. Moreover, I also really thankful for the friendship that was born after this YMAC ended. The organizing committee, the staff, the committee chairs, and also all the delegates, they treated me like their good friends. I would like to take this opportunity to thank their generosity and hospitality once again here. Through this report, I also would like to express my profound gratitude to IRO UMY, to Pak Tony, Mas Idham, Mas Fahrizal, and the others for giving me this opportunity to join YMAC 2015. I believe that my participation in YMAC 2015 would not be successful without their kind assistance and devotion. Thank you very much.